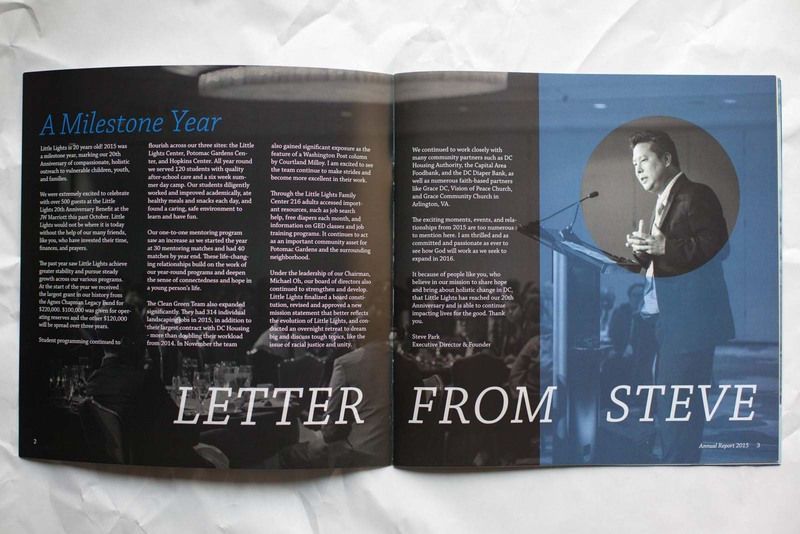 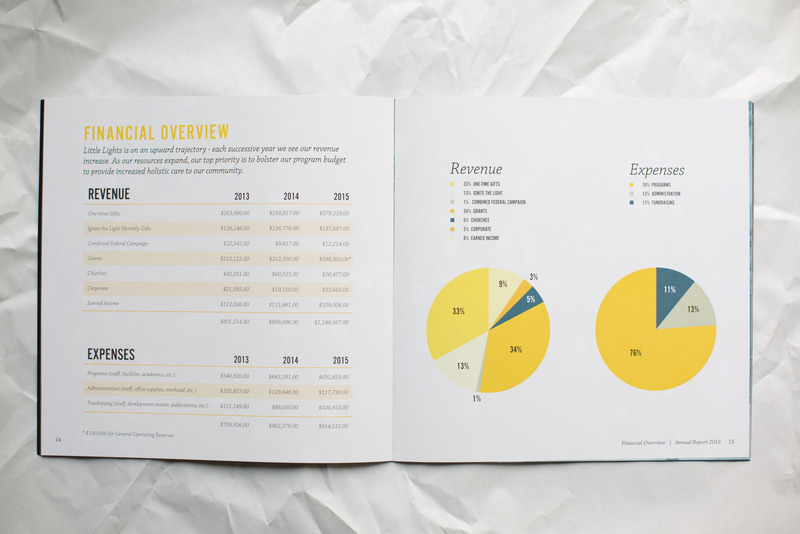 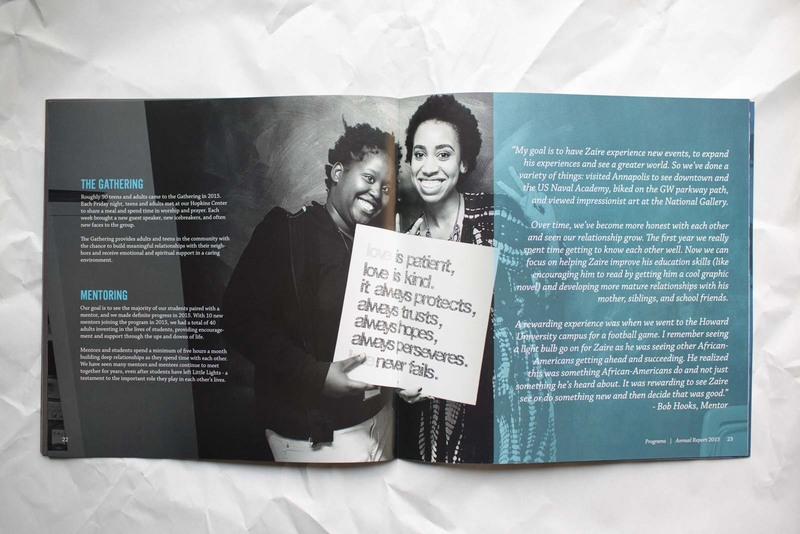 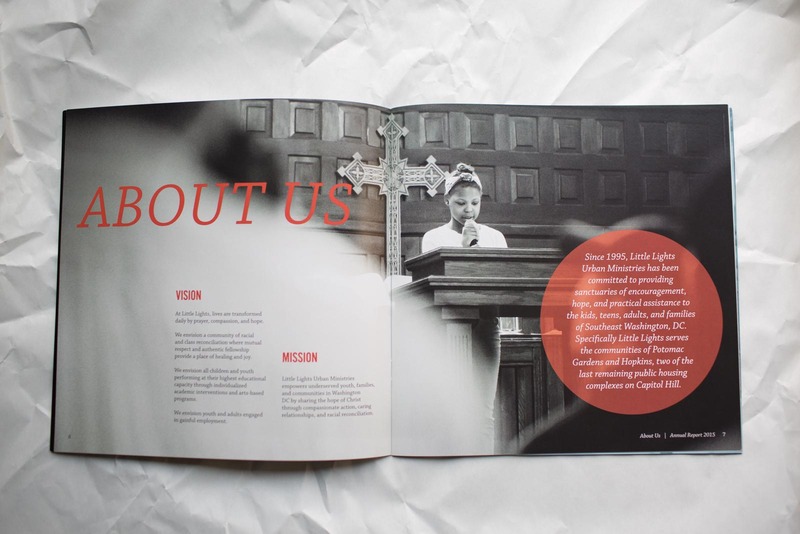 For some donors, the annual report is the one piece of collateral that they’ll take the time to read. 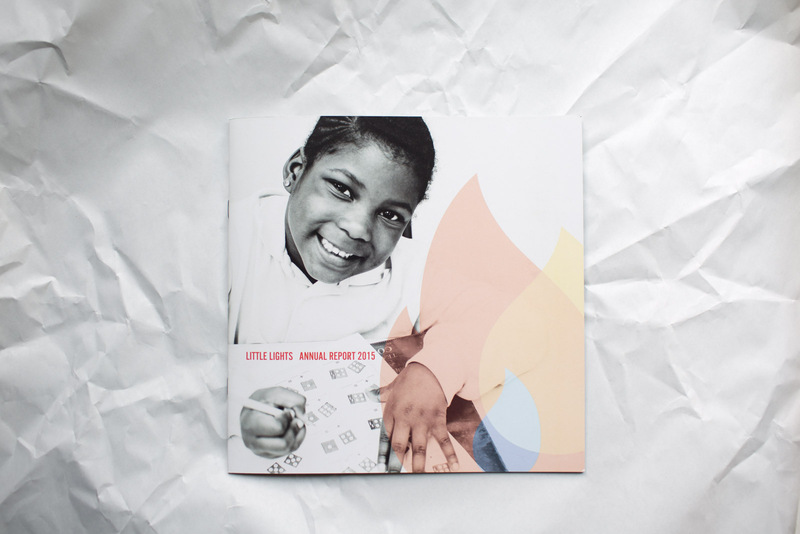 Black and white photography paired with colorful overlays portray kid-focused programming with a professional tone. 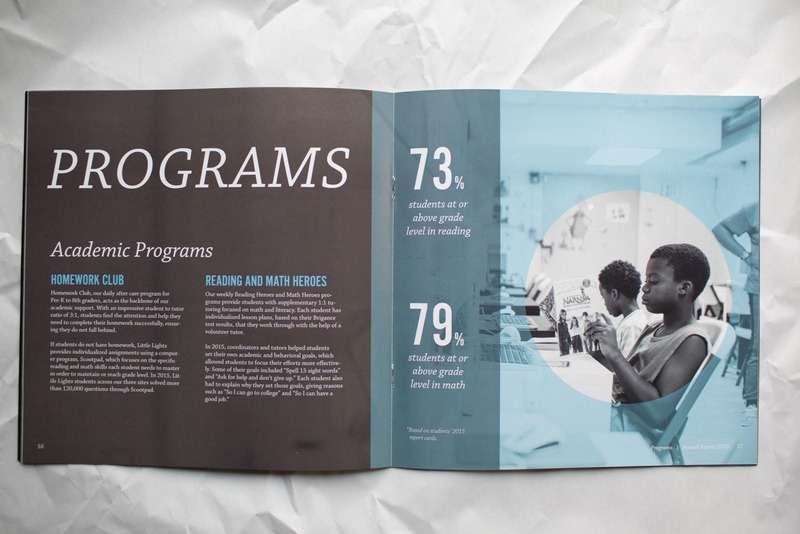 See the whole annual report.